With their unique combination of talents, these seven witty music lovers thrill audiences around the world. They are, José Arvelo, Gabriel Gutiérrez, Tarcisio Barreto, Carlos Bianculli (trumpets), José Francisco Montes (bass), Miguel Pagua (percussion), Moisés Rojas (cuatro). 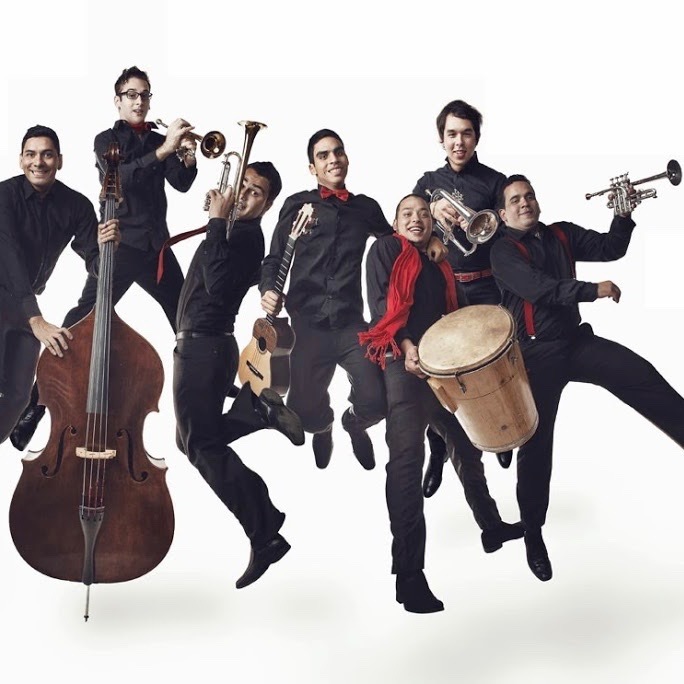 7/4 Ensemble was born out of the passion of 7 young people hailing from El Sistema youth orchestras of Venezuela, who came together to extend the boundaries of classical music to include Venezuelan folk music, Latin American music and jazz., yet always demonstrating a high level of technical and artistic abilities instilled in them by the El Sistema orchestral training. With this work they have completed numerous tours in Latin America (Argentina, Brazil, Colombia and Venezuela), Europe (Austria, Czech Republic, France, Germany, Italy, Portugal and Spain) and USA (Baltimore, Boston, Chicago, Columbus, Houston, Los Angeles, Miami, New York, Orlando, Philadelphia and San Francisco), sharing their music with great musicians around the world. 7/4 Ensemble is also passionate about working with children and youth ensembles, specializing in offering masterclasses the unique rhythms and sounds of Venezuelan music. Based in Miami since 2016, they appeared at the beginning of last two seasons (2017 and 2018) of The Miami Symphony Orchestra’s debut concert, “Ocean Drive in Vienna”, held at the Adrienne Arsht Center. On their short career, they had recorded 4 albums and played at important venues such Berklee college of Music, Harvard University and Berliner Philarmonie. 7/4 Ensemble is proud to be a Schagerl Artist.